I was no stranger to violence. The kids I was associating with in Milwaukee had a habit of finding confrontations frequently; and I was usually the one to help solve the problem, after they had created it. I had a chip on my shoulder and a relentless desire to prove to myself that I could handle violent situations when they happened. My instructors at this time were Kempo teachers. The only reference I had for physical confrontation was through seeing people get knocked out on the street. Naturally, I gravitated to the art that refined the practitioner’s ability to throw multiple combinations of strikes to many targets. 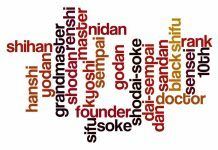 Little did I realize, I really had no conception of the depths of knowledge that surrounded Kempo Karate. That day in the dojo, I demonstrated my “street ability,” and poor judgment, to my master instructor, who responded in kind by hitting me so hard that I ended upside down through two layers of drywall, desperately wondering what had happened. My whole world was shattered. My whole perception of my abilities, and the ego that belonged to it, was taken apart. Thank goodness! This was my first experience with a proper teacher that wasn’t teaching watered down martial arts. Behind every block, strike, movement, and breath, there was an explanation for the effort put forth. These weren’t just outdated dance movements that made no sense. They were no-nonsense principles of kinesiology and kinematics that drastically increased the effectiveness of my instructor’s movements. There was no secrecy from my teachers. They were more than willing to provide answers and went on to explain that the movements I was learning were also subject to individual circumstances and scenarios. They explained that a real life situation will never be exactly the same as training in the dojo and that a proper instructor will show the difference between the lesson, or controlled environment, and dynamic stress training. 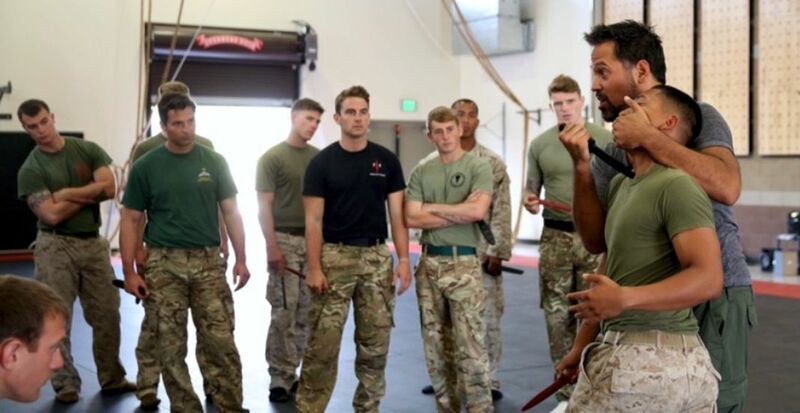 These instructors introduced me to the concept of developing sets of attributes and movements that would spontaneously come out during duress and dynamic training for the preparation of a true fight. This learning curve created a baseline for me to evaluate my weak spots in any number of given scenarios. It was a scientific approach to improvement and training. These learning principles stuck with me over the course of a lifetime of training. You see, in modern times, there are many motivations for a practitioner to study a martial art. Not everyone is looking to be a competitor, a tough guy, or has something to prove to themselves like I did. There is nothing wrong with that. Some practitioners are enrolling their children at early ages, into martial arts schools, in order to build a solid foundation of moral attitudes and codes of conduct that will shape how these children tackle adversity and treat people in real life situations. There are other practitioners that use martial arts as a vehicle for rehabilitation and health. It is common place now, to see people of an older age, or who have received serious injuries, taking part in martial arts classes to strengthen areas of the body that need rehabilitation, and to be present in class to get a good sweat, while increasing their daily activity regimen. I had to do this in order to rehabilitate my shoulder after surgery. Another type of student that is arising more frequently in the martial arts world, is the practitioner that is enrolled in classes to learn a little self-defense. These types of students are looking to build their self-confidence and hopefully, to retain a life-saving skill or two in the process. 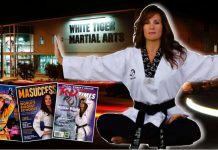 I bring up these different types of students to address a very serious issue that arises in the modern world, in regards to martial arts training. There is nothing wrong with the aforementioned motivations for training, however, it does present a problem that it is becoming more apparent as the years go on within the community. What are the dangers of learning a watered down martial system? How do we evaluate what is a good system to study? The dangers of learning watered down martial arts are simple. They won’t work when you need them to. The movements will distract, and detract, your ability to save your life or the lives of the loved ones that you are hoping to protect. 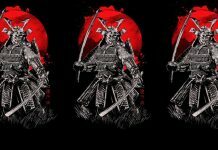 A clear distinction needs to be made, in the mind of the prospective student, when looking into the system of martial arts that they are studying. The prospective student needs to evaluate their concise motivations for wanting to train. Is it for your family or health, or is it for self-defense and martial application? Is it the program for your kids? Is it for the community and social aspect for your family? Is it to increase your overall health, flexibility, strength, and confidence? Or is it because you want it to work when you need it? If the latter is the answer, then you need to be very careful of your choice of systems and instructors. Learning a system of movements for self-defense purposes is arguably one of the hardest things to vet, and an even more complicated decision to make than one might think. For example, many people put forward that the art of Brazilian Jiu-jitsu is the most realistic and proven methodology to study for street fights. Yet, if you introduce multiple attackers or edged weapons into the scenario, you will realize that particular line of thought doesn’t actually hold water. I have seen many a man trust in plain old boxing as their “go to” for self-defense. In this more modern age of UFC fights, we also see a huge increase in the practice of various forms of American and Thai Kickboxing as well. Boxing and kickboxing, whatever the style or format, is a very reliable way for a practitioner to learn how to strike effectively and is proven to do so. 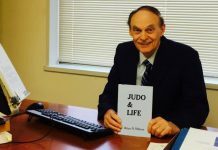 Even though this is the case, it is no secret that, with those skill sets alone, these practitioners are at an extreme disadvantage against a grappling man who does Judo, wrestling, or Brazilian Jiu-Jitsu. Now, let’s take a look into the perspective of active duty, military personnel. They have no desire to engage in any type of fight or match. The only reason they are engaged in a confrontation of this description, is because the enemy combatant has somehow gotten past their primary weapon system (a rifle), their secondary weapon system (a sidearm), and the edged weapon waiting in the sheath after that. Their only objective is to regain control of the situation and kill their enemy combatant. In this case, virtually any of the competitive or sport applications of the martial arts which they are studying are useless. A Marine in combat wants to get to his weapon system as fast as possible, to kill their respective enemy combatant, not achieve points or a “double leg” so they can execute their arm bar. With all of this knowledge being out there for evaluation, and readily available on the internet, it bluntly comes down to the individual practitioner, their motivation for learning, and their ability to research their teacher. The instructor, and system in question, should be vetted to make sure that they, not only are a part of a legitimate lineage in that particular style, but that they also possess the necessary, tested, physical experience in their field, to make them an expert at what they do. It does no good to study from a combatives expert who hasn’t been in combat themselves or worked with those who have. It won’t help very much to learn kickboxing or Muay Thai from instructors who have never sparred or gotten into the ring. The same can also be said of Brazilian Jiujitsu. Has your instructor had any competition experience? If they haven’t, are they studying techniques from someone who has? The concept of learning a watered down system is a very real concern. There are many Karate, Kenpo, Tae Kwon Do, and Kung Fu schools out there that are teaching the correct templates to their students, but have little to no knowledge of how to use their integrated structure, or generate force through these forms for devastating effect. These templates become dance movements! There are many Brazilian Jiujitsu schools that teach the positions, transitions, and submissions of the grappling game, but are not covering a lot of the hidden nuances of body framing, correct weight projection, timing, and leverage that make the art such an effective machine for victory on the street. These schools are setting up their students for failure the moment they get in a serious situation. 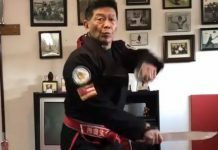 There are many instructors in weapons based systems such as Kali, Escrima, Arnis, and Krabi Krabong, who are very concerned with acquiring their next set of drills for their students to clack their sticks to, all the while missing out on the true meaning of those drills as a bladed system of self-defense. These attribute based drills become the focus of the training, versus the realization that these drills are simply a vehicle to learn. I have seen many an instructor of these various systems fold under pressure on base training with Marines, once they are pressured in an uncontrolled environment. 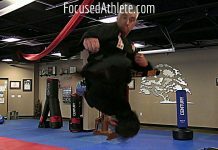 These are all examples of the watering down of the martial art systems and should be heavily weighed upon when researching your course of action. To sum it up, you have to first be honest with yourself about what your true motivations are for getting involved in training. Chances are, there is a specific style, and instructor, who specializes in those needs and will be happy to accommodate you. Then realize that these motivations may change over time, and there is nothing wrong with changing directions in regards to style or a teacher to accommodate those changes. 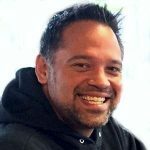 Nicholas Moreno has over 25 years of martial arts experience and specializes in the development and instruction of curricula with an emphasis on defensive and control tactics, weapon of opportunity, Military Combative Blade and joint locks, and manipulation. He is the current Director of Defense and Arrest Tactics for Naples Security Solutions in Naples, Florida.